A young couple enjoying a quiet morning in the park is faced with a difficult situation when a hysterical man asks for their help. Two hillbilly brothers, Jesse and Wyatt, work for a gangster. They are assigned the task of keeping their boss’s girlfriend hostage. The boss plans on killing her, but when Wyatt falls in love with her, Jesse is left with the difficult decision to stick with his brother or stay loyal to the boss. 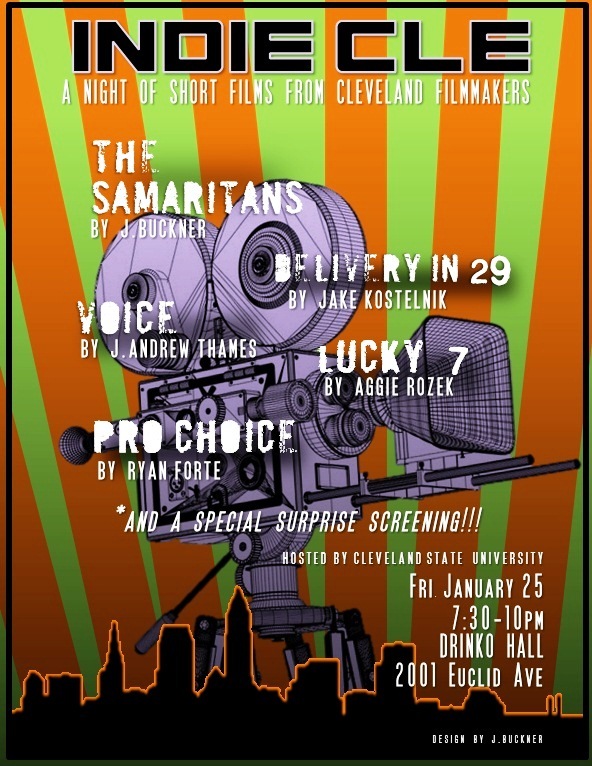 Based on actual events, Delivery In 29 comically explores the lives of two young men working as pizza delivery drivers in Cleveland. A young protester who experiences a throat injury must search for his new voice, which he finds in graffiti. 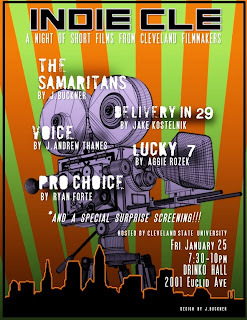 **And a special surprise screening of a much anticipated locally made short film.